This essential resource for nurses and phlebotomists explains the importance of blood culture testing and its current shortcomings associated with culture contamination. 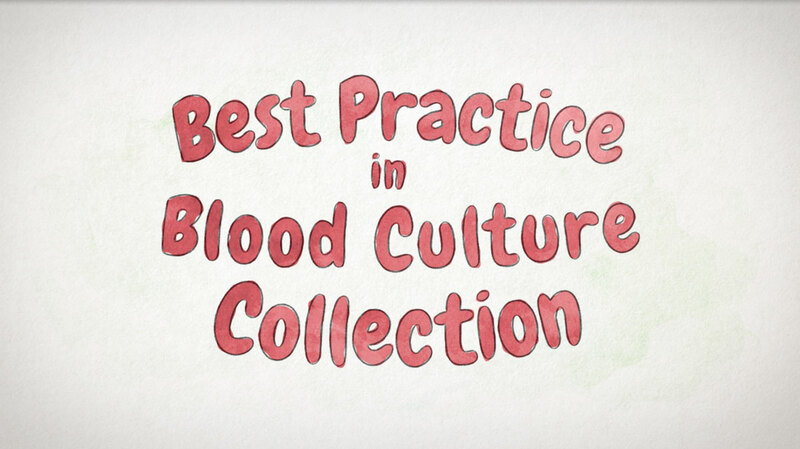 The video walks the viewer through the established best practice for blood culture collection and identifies the common points of contamination. Lastly, the viewer is introduced to a technique called initial specimen diversion, which captures the first aliquot of blood and any skin contaminants therein. 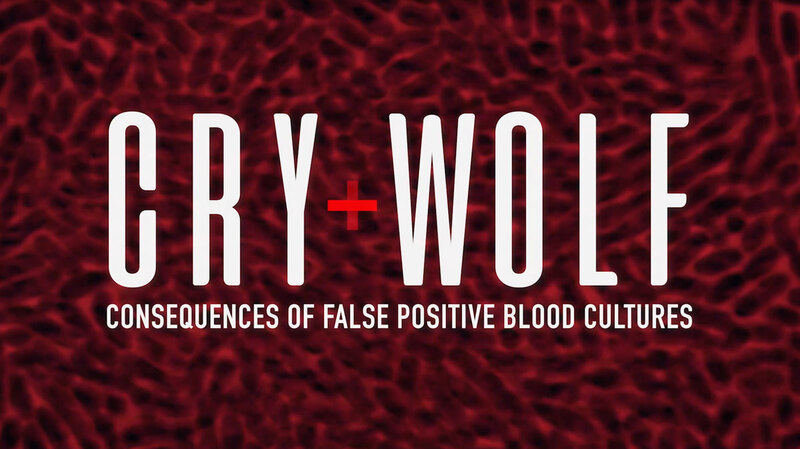 Cry Wolf explains the consequences of blood culture contamination. Just like the boy who cried wolf, high numbers of false positive results cause physicians to question the test and/or to treat an infection that isn’t real, compromising a fast and appropriate response. Expert clinicians highlight the high cost of false positive blood cultures for both patients and hospitals. There is a consensus that caregiver compliance with best practices of blood culture collection can reduce false positives blood cultures. View Cry Wolf at BetterBloodCultures.com. Each Kurin blood culture collection set features a Kurin Lock®, a small but powerful low-volume specimen diversion device that passively diverts the initial specimen during the routine process of drawing a blood culture. 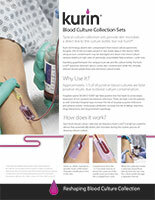 Kurin is a device designed to contain the initial volume of blood from the venipuncture site, so that resident contaminants within the skin are not transferred into the blood culture sample. Watch as we demonstrate the Kurin Lock in slow motion. With the venipuncture, Kurin acts as a flash chamber providing visual confirmation that the needle is properly placed within the vein. The initial flow of blood—and any contaminants therein—fills a “U” shaped side channel until it reaches a white porous seal. Kurin requires less than 0.15mL, making the device ideal for peds and patients at risk for hypovolemic anemia. 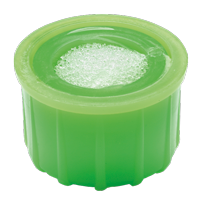 When in contact with blood, the seal material is activated to lock the channel so that blood cannot exit and air cannot enter. Flow—in or out—of the side channel is stopped, locking the initial blood and contaminants in place. With the side channel sealed, a small amount of blood will bypass the contents of the side channel, flowing directly into the collection passage. The blood will advance a variable distance before automatically stopping to indicate that the set is ready for collection bottle attachment. Once attached, the blood flowing into the culture bottle passes directly from the venipuncture, circumventing the potentially contaminated blood sidelined within the Kurin lock. When Kurin is used, clinical workflow remains unchanged, blood loss is minimized, and the reduction in contaminants greatly improves the quality of blood samples—benefiting patients, caregivers, and hospitals alike.